This Presentation will explain how to enlarge your earning. Articles from Aloe Health UK - What Is In Aloe Vera Gel? What Is In Aloe Vera Gel? The constituents of Aloe Vera Gel can be divided into the following groups. The term 'Gel' is used in the manner set out by the International Aloe Science Council to mean a product containing a minimum of 85% Aloe Vera Gel. Aloe contains a wide range, but the most important ones are the antioxidant vitamins C and E and beta carotene, the precursor of vitamin A. It is also one of the few plant sources in the world of vitamin B12-albeit in a very small amount. These include magnesium, manganese, zinc, copper, chromium, calcium, sodium and potassium, essential elements in the chemistry and processes of a healthy body. The human body requires 22 amino acids, the building blocks of proteins and Aloe Vera Gel provides twenty of them. More importantly, it provides seven of the eight essential amino acids that cannot be manufactured by the body and which have to be consumed as food. These include the important polysaccharides which act on the immune system. Lipases and proteases break down food and aid digestion. The three main types act as powerful anti-inflammatory agents. Lignin This alcohol gives topical Aloe Vera its penetrative ability, to reach deep into the skin. These are soapy substances that exert a powerful anti-microbial effect against bacteria, viruses, fungi and yeasts such as Candida or 'thrush'. The most important ones being aloin and emodin, but although present in only minute amounts they are strong painkillers, and are acknowledged to possess anti-bacterial and viruscidal activity. It works by providing a rich cocktail of micro-nutritional elements whose combined action and balance produce a more powerful effect together than would be expected from the addition of the individual components. This is because they work as a team, enhancing each others effect - known as synergism. It also has adaptogenic properties which means that different individuals take from it what they need, therefore the benefits vary from person to person. Aloe Vera, because of its nutritional and immune modulating properties, helps firstly to prevent injury to epithelial tissues, and when they are damaged, it promotes healing. Antioxidants fight the destructive 'free radicals', the unstable compounds produced by our metabolism and found in environmental pollutants. They are thought to cause various ailments, including some cancers, as well as contributing towards the aging process. 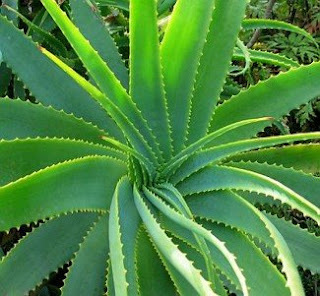 A long chain sugar in aloe vera acts on the immune system to help regulate its activity. An epithelium is an anatomical term defined as follows: 'a layer of cells that covers the body or lines a cavity that connects with it'. Our largest epithelium is our skin but also included are the lining of the gut, the bronchial tubes and the genital tract. No wonder Aloe works just as well on damaged skin as it does, say, on an inflamed bowel or in asthma. Its natural anti-inflammatory and anti-microbial action, combined within its nutritional constituents, promote cell growth, and therefore healing. However, it is not only helpful for people with problems; most people taking it report a greater sense of well being - they just feel 'better' or they report feeling calmer and less anxious. This could be due to aloe's effect on their immune system which, you may say, becomes balanced or fine-tuned, and therefore, more efficient at defending the body from attack. For further information please see 'The Essential Aloe Vera' by Dr Peter Atherton. It is a natural cleanser due to the presence of saponins. It penetrates tissue due to its lignin content. It anaesthetises the tissue in the area to which it is applied, relieving pain deep beneath the surface, including pain associated with joints and sore muscles. It is bactericidal when held in high concentration for several hours in direct contact with bacteria, whereas antibiotics kill bacteria when highly diluted. It is viruscidal and fungicidal when in direct contact in high concentration for a long period of time. It is anti-inflammatory. It acts like a steroid, but with no side effects. It is anti-pruritic - reducing itching and burning. It is a natural moisturiser, taking moisture to all layers of the skin. The proteolytic enzymes break down dead tissue - cleansing a wound (topical products). It helps to increase blood flow in the skin by capillary dilation. It is health giving to the skin and body by providing a wide range of vitamins, minerals, sugars, enzymes and amino acids, essential and secondary. Each of the above benefits can be achieved with one or more drugs. Usually these are expensive and have numerous side effects. Aloe Vera can produce benefits in high concentration with virtually no side effects. Aloe Vera is not a panacea for all ills and there is no magic about it. lt works only in the two areas mentioned previously - epithelial tissue and the immune system. This is largely backed up by anecdotal evidence, as many thousands of people over the centuries have reported benefit for various skin complaints such as eczema, psoriasis, ulcers, burns, acne even stings and bites. They have found relief for bowel disorders such as diverticulosis and Irritable Bowel Syndrome. Other conditions resulting from a disordered immune system such as arthritis, asthma and ME (post viral fatigue syndrome) and LE (lupus) have improved after a regular ingestion of Aloe Vera Gel. ;Aloe Vera therefore has a complementary role to play in the management of various conditions. It is very important, however, that people should always seek the advice of their doctor, when diagnosis is in doubt, or where a condition does not improve. Self diagnosis can be extremely dangerous as many serious conditions can mimic more simple ones. 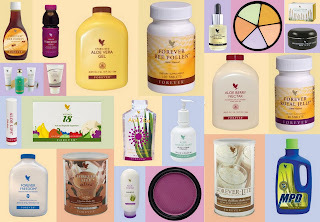 What is in Forever Living Aloe Vera Gel? 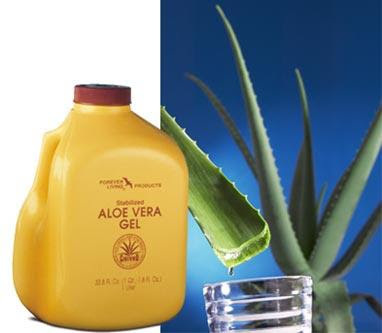 Forever Living Products' Aloe Vera Gel has been declared by the Food and Drug Research Laboratories, Inc. of New York to be ESSENTIALLY IDENTICAL to that found in a fresh leaf. In order to preserve the nutritional potency of raw Aloe Vera Gel, it must be stabilised, and this process inevitably involved the addition of small quantities of other ingredients. Ascorbic Acid - (otherwise known as vitamin C) is essential for the formation of intercellular collagen as well as the maintenance of tooth structures, matrix of bones and capillary walls. It is also necessary for wound healing, facilitates the absorption of iron and is widely used to help prevent colds. Vitamin C is found in all living plant and animal cells. Sorbitol is the raw material for the production of Ascorbic Acid. Citric Acid - Produced from sugar solutions and citrus fruits such as lemons, limes and oranges. It is widely used in the food industry and can be used as a pH adjuster and antioxidant. It can also retard metallic reactions. It is involved in the Krebs energy cycle which occurs in all cells of the body. It has been used to dissolve urinary bladder calculi and it acts as a mild astringent. Potassium Sorbate - The potassium salt of Sorbic Acid (found naturally in fresh berries of Mountain Ash) is a natural buffering and flavouring agent which helps protect the freshness of the Aloe. Sodium Benzoate - Naturally occurring flavouring, derived from fruits such as blackberries and other mountain berries. It helps stabilise and prevent bacterial growth during product usage. In the gel, it is used in quantities of less than 0.1% to prevent spoilage after the bottle has been opened. Sorbitol - This is an excellent conditioning agent which aids in the absorption of vitamins and minerals. It is naturally occurring in several fruits and has slight sweetening properties, which can help improve taste. Sorbitol is often used as a sweetener in diabetic products. There are two forms of sorbitol used: sorbitol crystals which are in solid form and contain no water and aqueous sorbitol which is in liquid form and is derived from specially processed maize. It is acceptable to people with coeliac disease (gluten sensitive). Tocophero - (Vitamin E) An essential vitamin for man, it is well known for its health related properties. It is a natural antioxidant, derived from wheat germ oil, rice kernel and other vegetable oils. Xanthan Gum - Derived from plants such as kelp, it is a natural stabilising and emulsifying agent. حديثا يستخدم عصير الصبر المحضر بطريقة خاصة تحافظ على مكوناته ليعطى الفوائد المرجوة منه بكفاءة عالية. جليكوسيدات الأنثراكينون و أحماض أمينية وفيتامينات ومعادن. 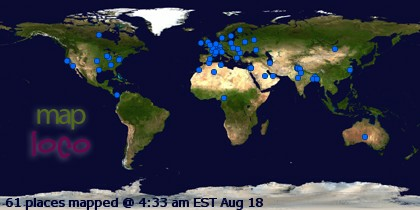 أثبتت الدراسات الحديثة ما أقره الفراعنة و الاغريق والعرب من فوائد الصبر بالإضافة للاكتشافات الجديدة .فهو ملين و نافع في زيادة الحموضة وقرحة المعدة و أمراض الكبد و سوء الهضم ، مفيد في قروح الفم ، مفيد في الالتهابات الروماتيزمية و المفاصل ، يخلص الجسم من المواد الضارة و السامة ويعيد التوازن الحيوي للجسم لانه يخلص الجسم من الاخلاط الثلاثة المعروفة في الطب القديم وهي الخلط السوداوي و الخلط الصفراوي والخلط البلغمي وهو مرطب للبشرة ومفيد في تساقط الشعر و تحسين نموه وفي علاج حساسية الجلد و الاكزيما و الصدفية وعلاج حب الشباب وفي علاج الحروق و حروق الشمس والتئام الجروح و زيادة التصبغ كما ثبت حديثا أن له فائدة في علاج مرض السرطان و الفيروسات .